Most employers have heard at least one of these demands from their employees: “You have to give me two 15-minute breaks.”, “You owe me overtime pay for last week.” or “You can’t make me work on Sundays.” But are they true? 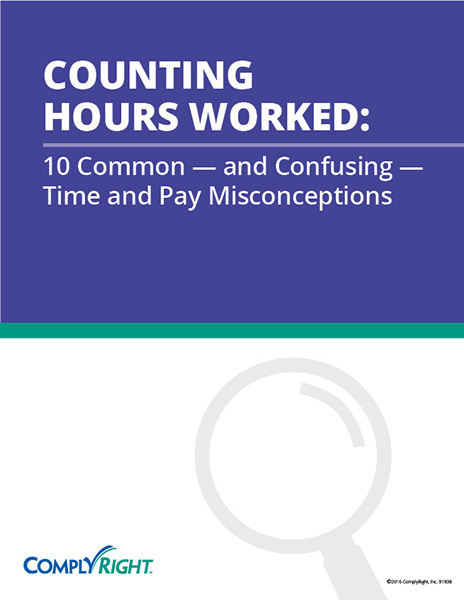 In our post-webinar Q&A Session, Jaime Lizotte, HR Solutions Manager answers the most important questions on employee misconceptions about time and pay laws. Is there a law against excessive hours worked by salaried employees? No. As long as the employee is legally classified as exempt, there is generally no federal law against excessive hours for salaried employees which is a good thing because sometimes with salaried employees they can be working 50+ hours a week at any time depending on the project load that they have in their position. 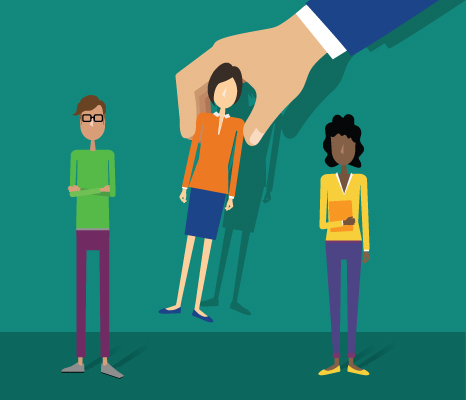 Do I have to pay non-exempt employees for training time if it will help their career? We did talk about training and activities that need to be paid for during the webinar, and the only time you don’t have to pay an hourly or nonexempt employee for training time is when all four of these conditions are met: if the training occurs outside of normal work hours, if the training is completely voluntary, if it’s not related to the employees current job position and if the employees don’t do any work during the training session. Unless all four of these are met, you do have to pay your nonexempt employees for the training time. If an exempt employee has a change in hours worked, can I switch them to non-exempt? Yes, any employee can be hourly as long as he or she is making at least the legal minimum wage. And the federal legal minimum wage right now is $7.25 per hour. But then there are state and local wages that may be different from the federal wage. And if your state or local wage is higher than the federal wage then you must pay the higher minimum wage. So it is very important to make sure you understand your state and local laws. You also have to understand that any employee can be non-exempt but not every employee can be exempt. For an employee to be exempt they must meet the minimum salary threshold of $23,660 as well as qualify under one of the job duties tests. If you are looking to switch their status though, you want to make sure that it’s the best decision for your company, because if you move them from exempt to non-exempt, then you are now required to pay that employee overtime wages. In the long run, look at what the benefit is to your company to move them to a non-exempt position because it could cost you, in the long run. If you are not able to switch that employee back to exempt, depending on their position duties, that may also be a consideration. If you’re going to change them to non-exempt, make sure you're really looking at all pros and cons to doing that. We talked about meal and rest breaks and there are a lot of states that have state-specific breaks so you really want to look at your state and local laws because it’s not a federal law. There's no federal law that requires you to provide breaks but let's talk about smoking breaks now. First, the FLSA does not require breaks, but the state and local laws sometimes do; regardless, you cannot dock an employees pay for breaks less than 20 minutes. That’s the rule of thumb here. In other words, if your employee takes a 10-minute cigarette break, you have to pay them. But here’s what you can do: you can actually draw up a company policy, we talked about policies for breaks, and your policy can say employees are only allowed one 15 minute break in the morning, and one 15 minute break in the afternoon and that’s it. Then you can enforce the policy through disciplinary measures if necessary, but again, there is no federal law saying anything about smoking breaks or on that subject matter. You can institute that with a company policy and also keep an eye on your employees to see if they’re violating that and then follow through with any disciplinary measures. We give our hourly receptionist 30 minutes to eat lunch but she still has to answer any calls that come in. So it sounds like she’s kind of on a working lunch but she’s free to surf the Internet or read a book while she’s on her lunch, is that ok? The answer here is plain and simple: No. If she is still required to do any work while she’s eating her lunch, then she is performing work, which means you are obligated to pay her. A non-exempt employee cannot do any work at all, even if it’s just answering the phone. If she’s surfing the Internet but she’s still answering the phone, it’s still considered work. When non-exempt employees are off the clock, they need to refrain from any type of work which is why it’s great to have a lunchroom or a place that they can go to remove themselves from their desk area so that they're not going to be doing work. In this situation it could be a good idea to have somebody cover her for the 30 minutes if you need to make sure that the phone is being answered at all times. We have a company holiday party at night so it’s off working hours, but attendance is mandatory for all employees. Should we pay non-exempt employees for their time at the holiday party? Everybody wants to attend the holiday party, right? That's a fun time of the year and legally, yes, if it is mandatory and if an employer directs non-exempt employees to show up at such events that they host, such as holiday parties throughout the year or whatever it is, then those count as work time hours, especially if it’s required. If you don’t want to have to pay non-exempt employees, then you have to make the event clearly voluntary with no pressure from management to attend. As soon as you put that word “required” and “mandatoryldquo; for employees to attend, then you must pay them. If you grant time off to observe a religious holiday, is the employer required to pay? It’s not a simple yes or no answer, but for non-exempt employees, that answer will generally be no. Non-exempt employees will be paid for only the hours that they work; however, the time off policies can dictate this too. Your employee may be able to use PTO time to cover the time off or the religious holiday if your policy allows. Now when it comes to exempt employees that is different because that religious holiday could fall under the ADA, which means that you would have to provide a reasonable accommodation. Again, unless it produces an undue hardship to the company, then you would be obligated to provide that day off for a religious holiday because that is a protected class under ADA. We are a private employer; we sometimes let employees leave early right before a holiday weekend. For example, we let them go at 3 when we normally leave at 5. Are we as an employer required to pay them until 5 since we let them leave early? The answer here is similar to the previous answer. Non-exempt employees only need to be paid for the hours worked unless you have a policy that says otherwise. Exempt employees are paid a salary regardless of the number of hours they work so you know that they’re going to be paid for those hours anyway. There are only certain times when a salary deduction can be made so you want to be very careful to not improperly deduct salary from an exempt employee. But this question can come into a company morale issue rather than a pay issue. You may think you’re doing your employees a favor by letting them go early, but they will not like being forced to leave without pay. Consider employee morale along with the requirements of the law and say, if we allow you to leave early, those that are hourly will be paid for those extra hours as an added benefit considering that they're there. Are you required to pay overtime for hours over 40 if you have told employees that they are not to work over but they do anyway? This question is talking about unauthorized overtime. The answer is absolutely yes. You must pay non-exempt employees for all hours worked even if they’re not authorized. However, you can discipline the employees that work those unauthorized hours but you want to make sure that you have a detailed policy in place stating that your employees are not allowed to work unauthorized overtime and then set out a procedure for requesting the authorization for overtime. That way they know how to follow the process. You should also train your managers. 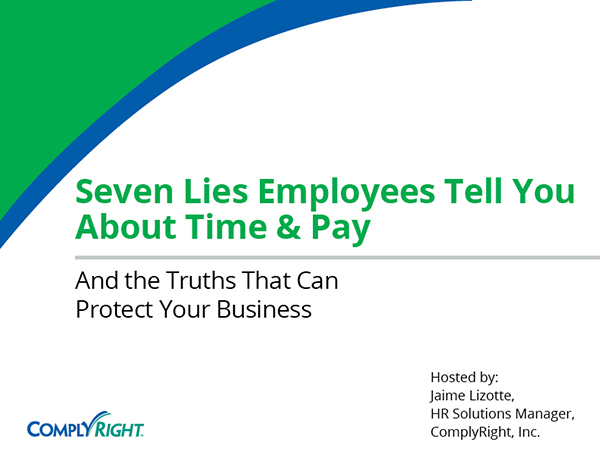 I know in one of the questions I asked during the webinar, a lot of attendees responded and said that their companies don’t train managers on managing hourly employees, but that is really important to do so that they can watch out for unauthorized overtime and understand how to properly discipline their employees who violate that policy. If a team member takes a break and leaves company property, do they still have to be paid? This can’t completely be answered based on the wording of the question, but the real issue I see here is it’s not if the employee is on or off the property during a break, but it's whether or not any work is done. So perhaps the employee has accessed company email on his or her smartphone. Maybe a quick work call is made from driving to a restaurant or something like that. Now, for non-exempt employees to take an unpaid lunch break, then absolutely no work must be done. You want to make sure they don’t have access to their email outside the office and they’re not doing any work, such as a work phone call, while they are traveling to lunch. This question also doesn't state how long the break is either and like I just mentioned in one of the previous answers, breaks that are 20 minutes or less should be paid. So if they step off of company property and they’re only gone for 10 minutes then, yes, you must pay them if that’s as long as the break is. There are a few things to consider with this without knowing any more details to the question, but what you really want to understand is what happened on the break and how long the break was. Are lunch breaks required in the state of Tennessee? If so, can an employer be penalized if an employee voluntarily works during lunch? Now during this webinar, we only talked about federal law, so I’m not going to go into specifics of each state’s break laws because we have predicaments in every state attending and I can’t cover all states. But the second part of the question really is, can the employer be penalized if the employee voluntarily works through lunch and I presume that we're talking about non-exempt employees. If an employee clocks out but they still work, they must be paid. You want to make sure when an employee clocks out they’re not at their desk and they don't have access to any work so that you're not obligated to have to pay them. When work is done the employee must be paid, otherwise you're opening yourself up to a lawsuit even if they voluntarily work off the clock. If work is done it is not truly off the clock per se, so it’s the employer’s responsibility to make sure that there is a policy in place prohibiting working off the clock and then if you have a policy and employees aren’t following them, disciplinary measures for those employees that violate that policy will come into place.